The Science of Tears: Do I Have Dry Eye? 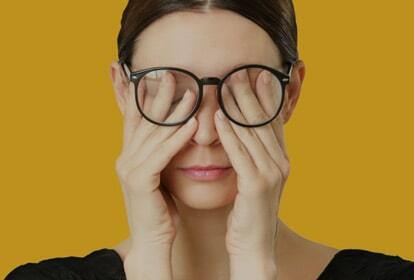 Do you experience eye dryness, sensitivity to light, blurred vision, or discomfort in windy or dry conditions? What about difficulty performing visual tasks, difficulty wearing contact lenses, frequent use of eye drops, or amplified symptoms later in the day? These are all signs that you may be experiencing a common condition called keratoconjunctivitis sicca (KCS), and commonly referred to as Dry Eye Syndrome. Basal tears, the name for those that are constantly present in our eyes, are what keep our eyes from drying out completely. The human body produces an average of 5 to 10 ounces of basal tears each day. With each blink, tears spread across the the cornea to wash away keep the surface of the eyes smooth and clear.While tears are necessary for your overall eye health, dry eyes can occur when tear production and drainage is not in balance. Without proper treatment, inadequate tears can make daily activities frustrating, affecting your personal and professional life. Everyday tasks like reading, watching TV, driving, or working on the computer can be more difficult when you are experiencing Dry Eye. The most common form of Dry Eye is Evaporative Dry Eye, which represents 86% of all Dry Eye cases. Evaporative Dry Eye results from a shortage of oil in your tears caused by a blockage in your eyelid (Meibomian) glands, leading to tears that evaporate faster than normal. Dry Eye can be caused by the natural aging process, medications, certain medical conditions like diabetes and thyroid issues, environmental factors, and more. LipiFlow is a procedure designed to treat the root cause of Evaporative Dry Eye, blocked Meibomian glands. LipiFlow works by applying directed energy to the eyelid near the affected glands — precisely targeted warmth from the back of the eyelid, and slight pressure from the front. The LipiFlow treatment can unblock glands, interrupt physical deterioration and, in most cases, provide symptom relief. Lipiflow is a drug-free procedure that improves your gland function. Over 86% of patients with a single Lipiflow procedure showed an improvement in meibomian gland function and dry eye symptoms. We use the LipiFlow System to treat patients right in our office with confidence and efficiency. If you are suffering from dry, red, irritated eyes, talk to your optometrist about what treatment options would work best for you. To find out more about LipiFlow, check out our Videos page or the LipiFlow page.